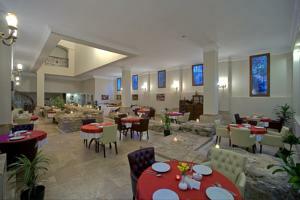 Situated in the Sultanahmet district of Istanbul, this luxury hotel is a 2-minute walk from the Blue Mosque. 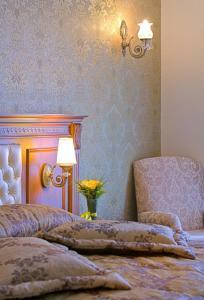 It offers panoramic views of the old city and has guestrooms with free Wi-Fi. 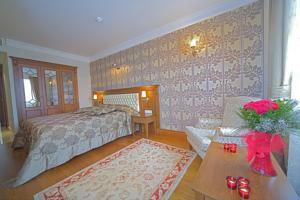 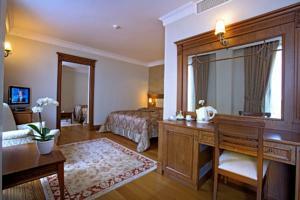 Rooms at the Acra Hotel have parquet floors and elegant furnishings. 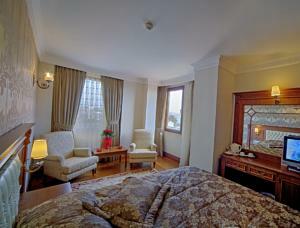 They come equipped with air conditioning and a minibar, and include LCD TV with satellite channels. 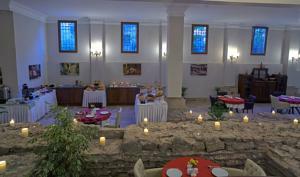 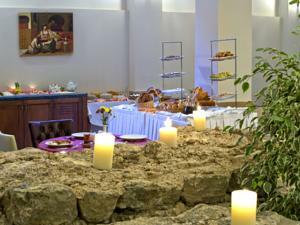 Acra’s ground floor restaurant exhibits historical ruins of the Byzantine Great Palace of Constantinople. 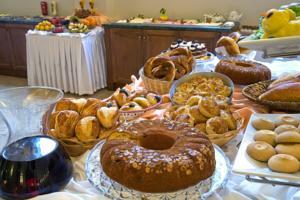 It offers only buffet breakfast. 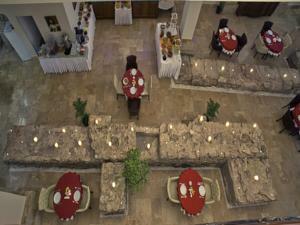 Guests can seek help at the reception desk for ticket service, local tours and car rental. 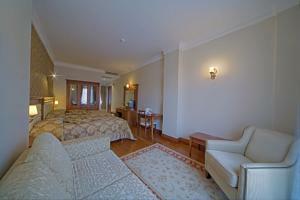 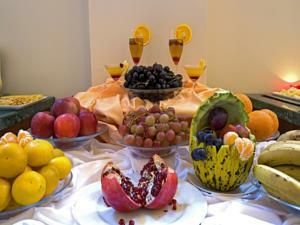 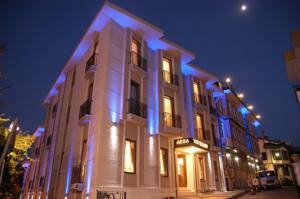 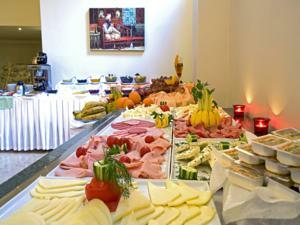 The Acra Hotel is only 250 metres from Hagia Sophia and Topkapi Palace. 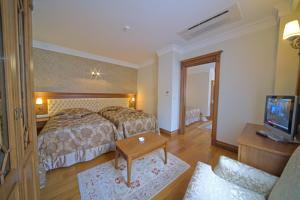 The nearest metro station is just 10 minutes' walk away. 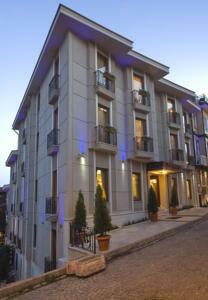 Free private parking is possible at a location nearby. 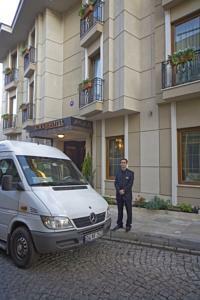 Car Park: Parking Free! 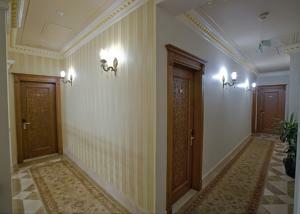 Free private parking is possible at a location nearby (reservation is not needed).